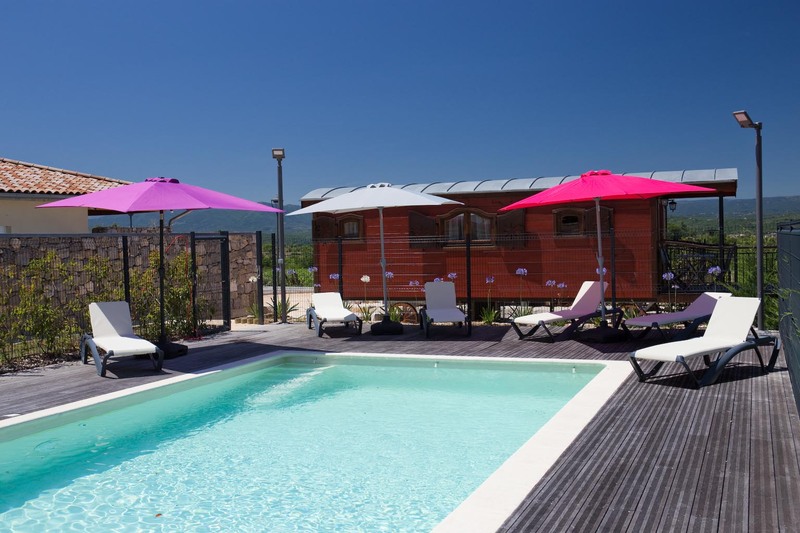 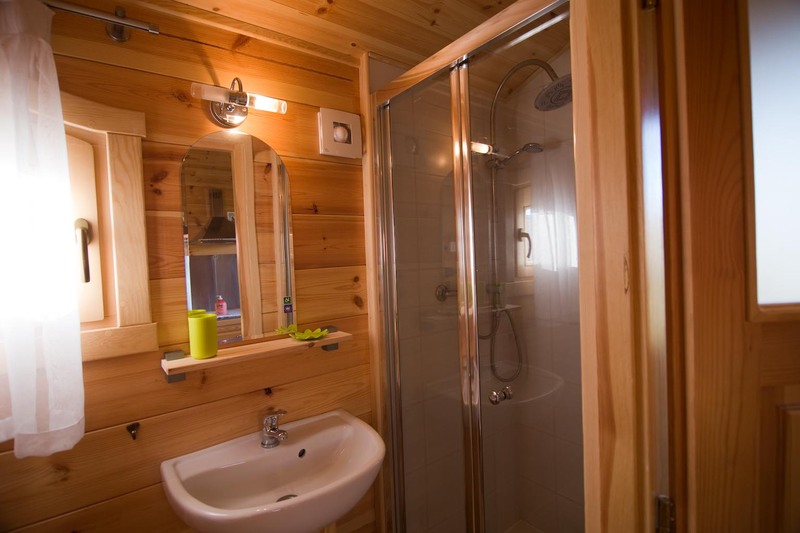 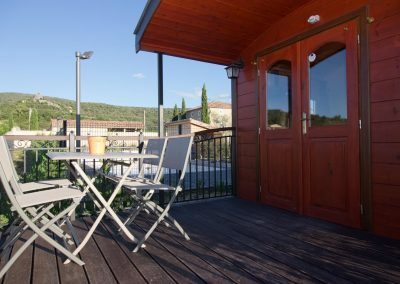 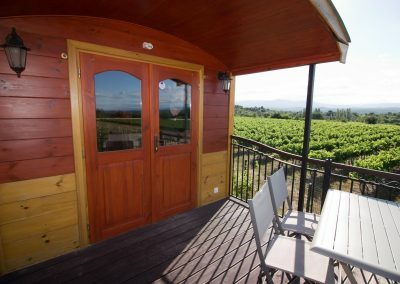 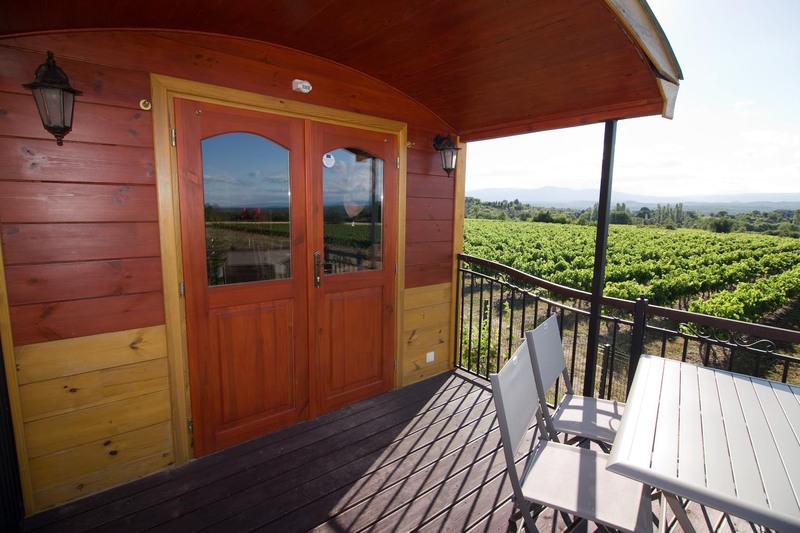 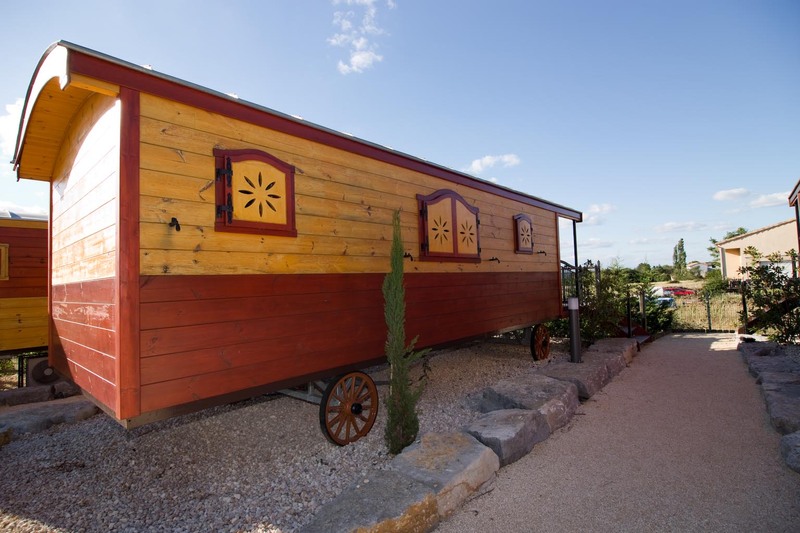 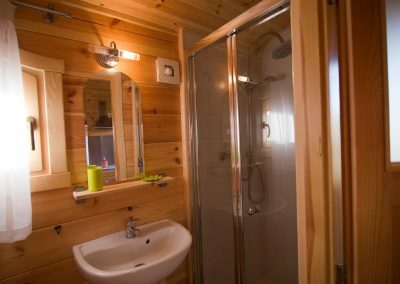 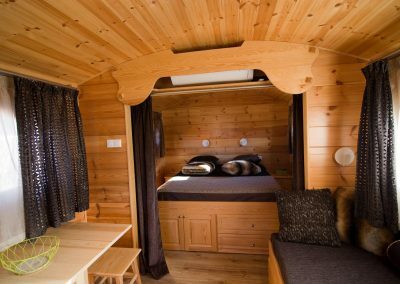 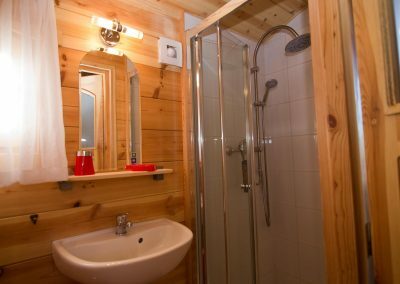 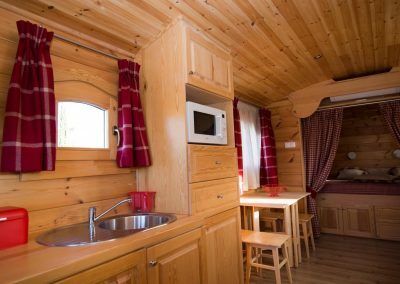 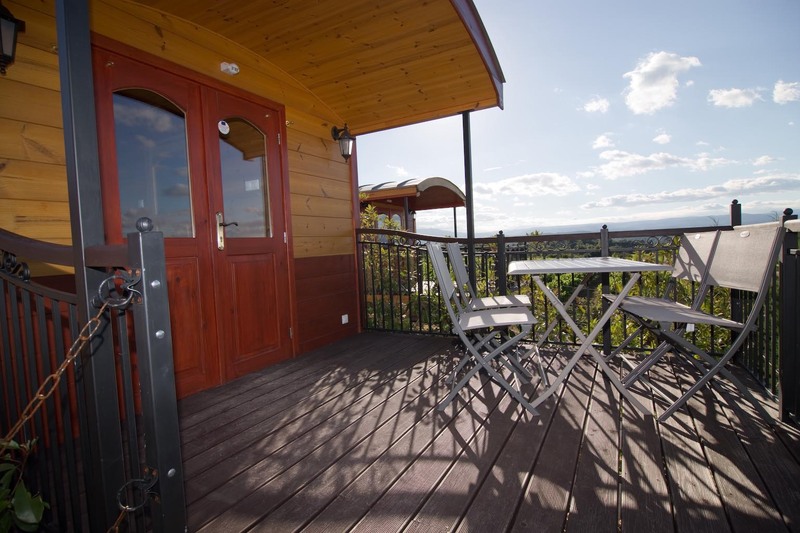 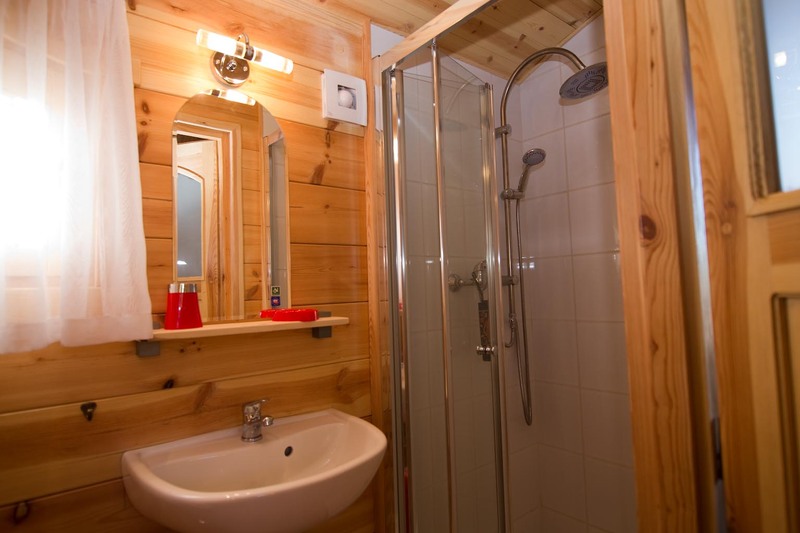 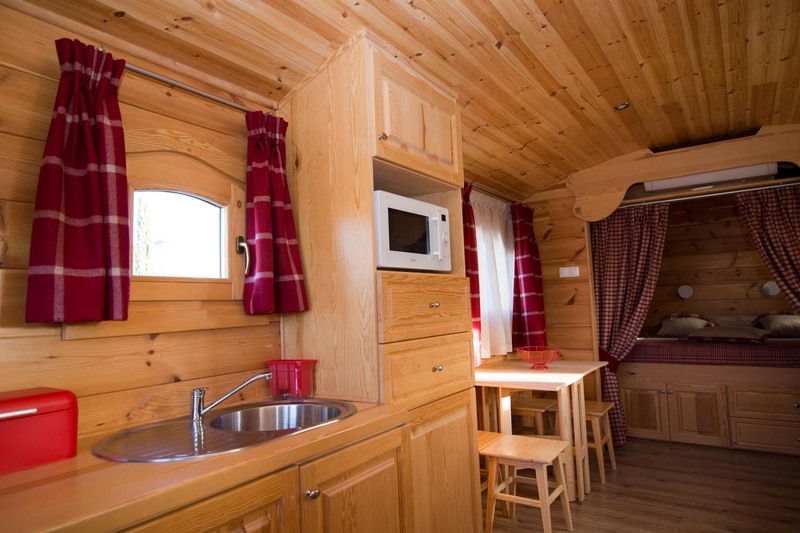 If you are looking for unusual holidays in Ardèche The trailers in the Domaine des Anges are perfect. 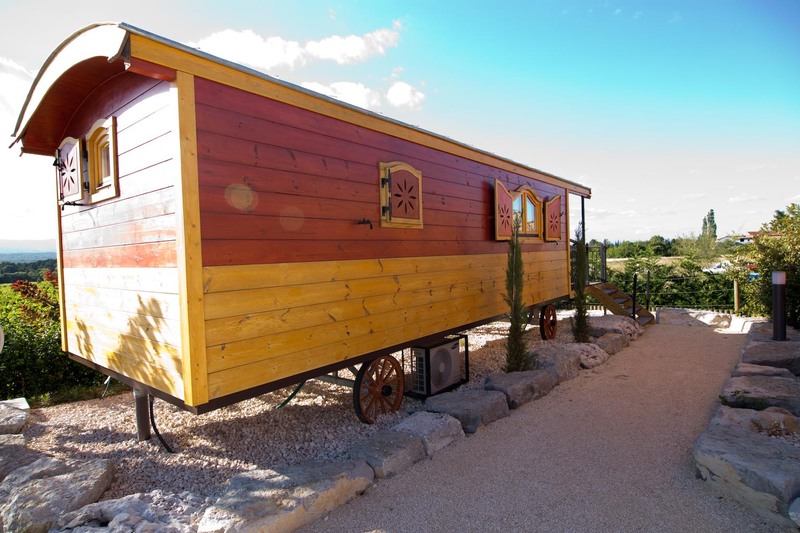 Escape the everyday grind in a trailer for a change of scenery in a fantasy environment. 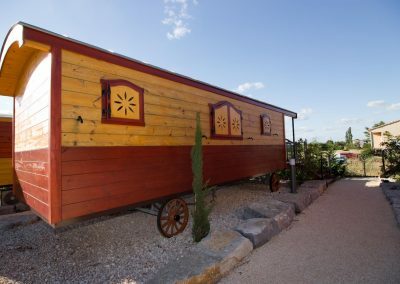 Our three trailers are air-conditioned. 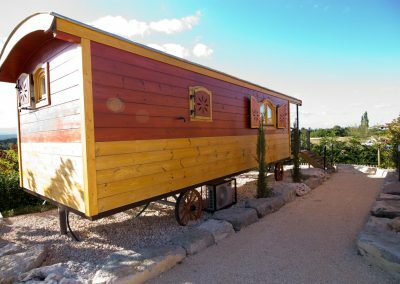 You will be delighted by an authentic style inspired by the gypsy world and its culture. 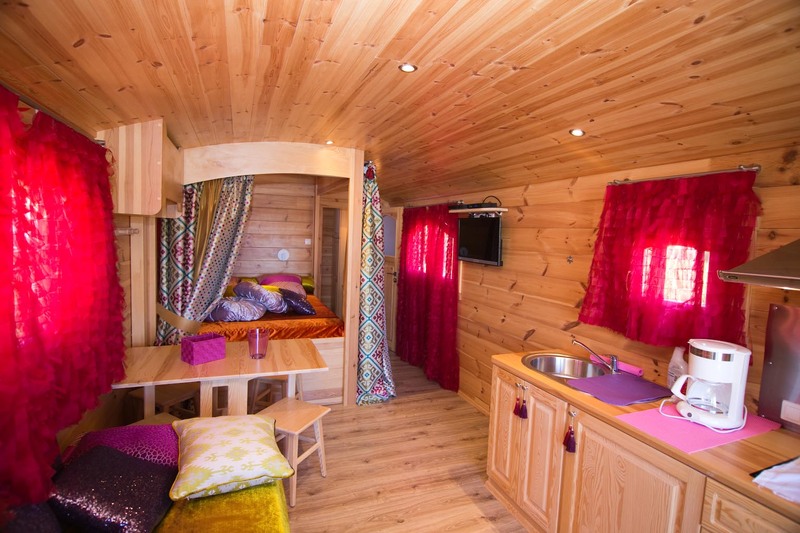 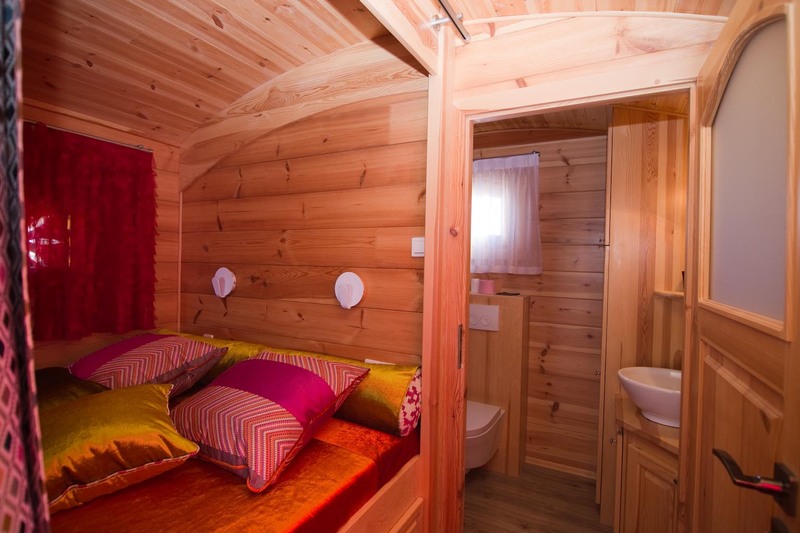 In the Hera trailer you will find a warm environment and bright colors. 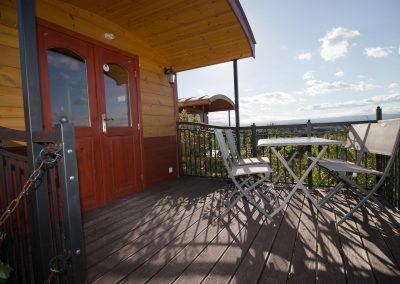 A mountain atmosphere in the warmth of Southern Ardeche. 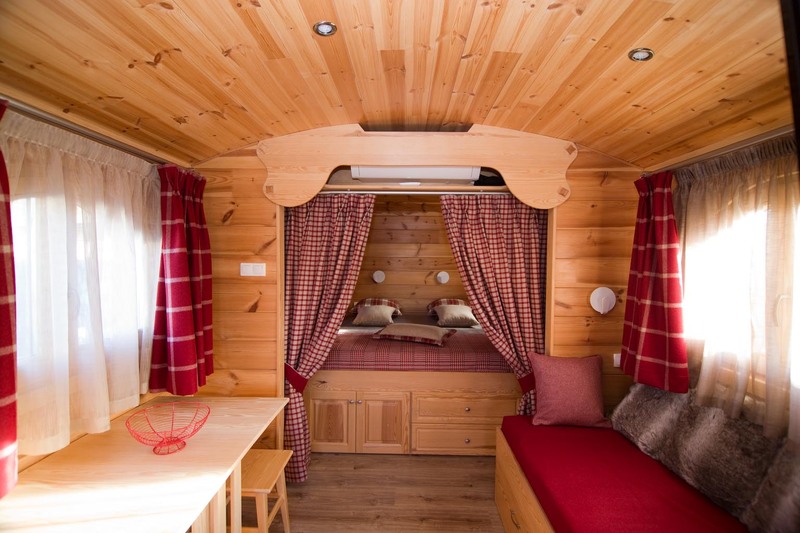 The Athena caravan will allow you to mix the seasons according to your imagination. 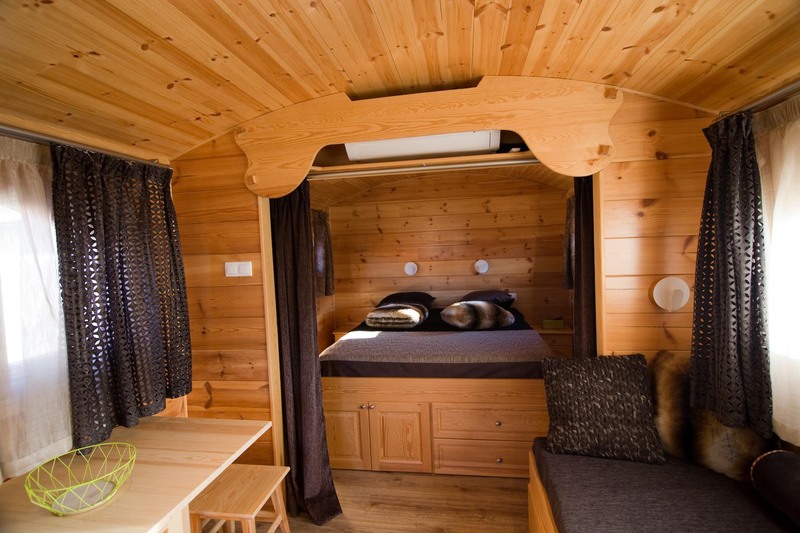 Settle into a cozy world, enjoy sharing and relaxing with family or friends. 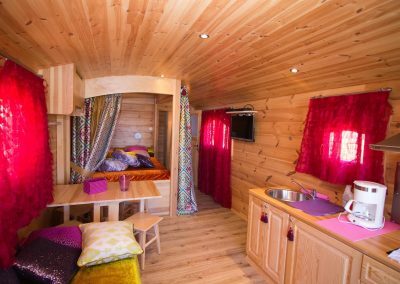 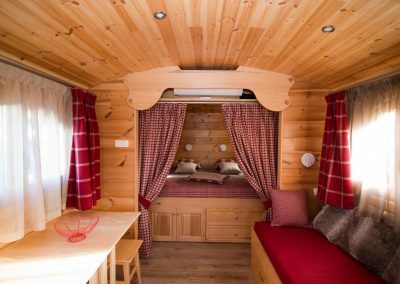 The Aphrodite caravan will offer you a subtle blend of materials and warm colors for a soothing holiday during which time will seem to stop.